The Psalmist says, “I will love thee.” So many in this world fall into a trap of being grateful for and delighting in the works of God. They see all that God has created, the sun, moon, stars, all that is wonderful on this earth, even other people. Even those that do not believe in God fall in love with the things that God has made and take pleasure in what God does. It is easy for us to do the same thing, to appreciate the creation more than the Creator. Now, it is not a sin to love God for what He does and for what He has made, but if our love is confined or limited to those things, that is not the love that we are supposed to have for the Lord. God must be the true object of our Love and devotion. Our every prayer ought to begin with, “I will love thee.” Why spend our lives loving what is dead or dying, why limit our love to that which in imperfect? God is the Eternal, Never-dying, Perfect One, worthy of our love. The love we are to have for the Lord is an affectionate love, a measureless love, a fervent love and a daily love. It’s a love that not only loves God at the moment, but a love that is resolved to love Him forever. It’s a love that gives victory and strength. It’s a love that purifies and empowers. Then the Psalmist says, “I will trust thee.” He was not looking to his own strength or power, he was trusting in the One that he loved. He knew that it was the Lord that would lift him above temptation, that would hide him in the Rock, that would deliver him in times of trouble and that would be all that he needed. All through the Bible we are instructed to trust in the Lord and not to trust in our own selves. Even if we could help ourselves, it would not be the perfect help that comes from the Lord. He saves, He shields, He delivers, He preserves, He protects, and He defends. David had faced many dangers and through those dangers he had trusted the Lord. 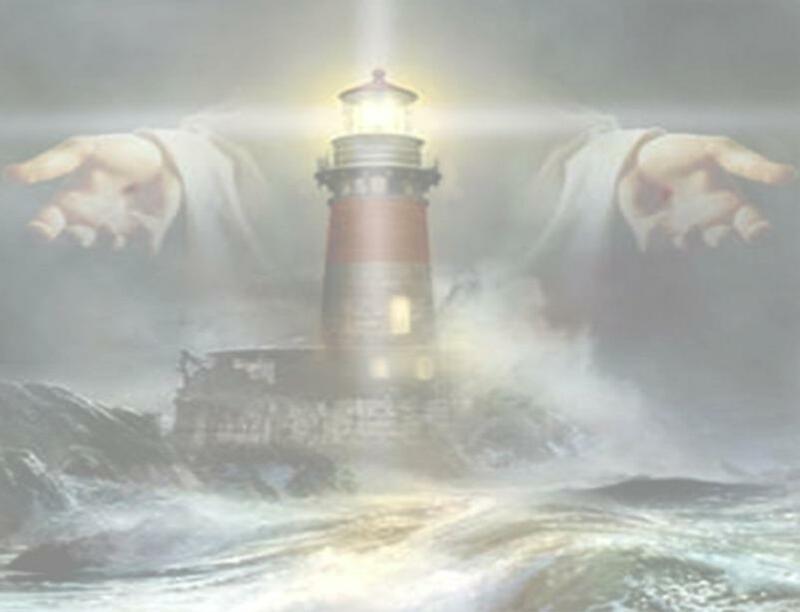 His words were proof of his trust, “my strength, My Rock, My God, My Buckler, My Salvation, My High Tower. Before we met the Lord, the sorrows surrounded us, the bands of the grave and the snares of death held us with an unforgivable grip. The Evil One had us and was not planning to let us go. We were in his power; we were being carried away with no means of escape. I don’t know about you, but one day my eyes were opened to my situation and I was filled with fear and horror. On that day, I called out to the Lord. It was a call of distress, a call for help in my trouble. The remembrance of that day has never been forgotten. God help us to never forget where we were brought from. There are those that are disgruntled and discontented. They never seem to be pleased with what is happening in their lives. I believe they need to revisit the place where they met the Lord. That was an awful place, a place where sorrow, floods of the ungodly, death, Hell and the grave compassed us. In my distress I called upon the LORD, and cried unto my God: he heard my voice out of his temple, and my cry came before him, even into his ears. Then the earth shook and trembled; the foundations also of the hills moved and were shaken, because he was wroth. There went up a smoke out of his nostrils, and fire out of his mouth devoured: coals were kindled by it. He bowed the heavens also, and came down: and darkness was under his feet. And he rode upon a cherub, and did fly: yea, he did fly upon the wings of the wind. He made darkness his secret place; his pavilion round about him were dark waters and thick clouds of the skies. At the brightness that was before him his thick clouds passed, hail stones and coals of fire. The LORD also thundered in the heavens, and the Highest gave his voice; hail stones and coals of fire. Yea, he sent out his arrows, and scattered them; and he shot out lightnings, and discomfited them. Then the channels of waters were seen, and the foundations of the world were discovered at thy rebuke, O LORD, at the blast of the breath of thy nostrils. He sent from above, he took me, he drew me out of many waters. He delivered me from my strong enemy, and from them which hated me: for they were too strong for me. They prevented me in the day of my calamity: but the LORD was my stay. He brought me forth also into a large place; he delivered me, because he delighted in me. The day we realized that we were lost, we called on the Lord, and He rescued us. The Psalmist makes it plain that his cry was to the Lord and to no other deliverer. The Lord heard his voice and He heard our voice. The cry of every lost sinner for salvation goes into the portals of Glory. Just think about all the joyous sounds that must be in Heaven, The beautiful music, the singing of the angels, and the worship of the redeemed, but the cry of the lost sinner never fails to reach the ear of the Lord. The cry of distress will always be heard. Not only is the cry of the lost sinner heard, but the cry of the Saint in distress is also heard. The Lord looks past all the glories of Heaven to see the struggling servant of God. Out of His Temple comes the help and deliverance we need. The celestial world is quick to come to the aid of the world of want and sorrow. There are those that do not pray because they think Heaven is too far away, or that it is too glorious to be concerned about our trouble. The Lord is not pleased with what Satan is doing on this earth. He will rock the very foundations of this earth to come to the help of the Christian that cries out to Him. He is our Rock and our Refuge, He is a consuming fire against our enemies, His help will fly to us on the wings of the wind that He has made. This magnificent power is available even to the weakest Saint. Our troubles and our enemies may be too strong for us, but they can never match His power. The Psalmist reminds us that all of nature is obedient to the supernatural power of the Lord. God can move Heaven and earth, and we will do just that at the call of His children. The wicked of this world need to know that everything in nature can be turned into God’s arsenal in a moment. He can turn the wonderful and beautiful things of nature into swift ministers of death and ruin. This is sad news for the enemies of God, but wonderful news for the children of God. In the midst of all this darkness, the Psalmist shows us a rainbow. “He drew me out of many waters, He delivered me from the strong enemy, the Lord was my stay, because He delighteth in me.” He shows us the rainbow of the help of the Lord. It was sent from above, as a comfort and a reminder that the Lord reigns and joy comes in the morning. In the trouble and darkness of the lost sinner, the Lord is their rescue. In the trouble and darkness of the Saint traveling through this world, the Lord is our rescue. Because of his faith. David trusted in the Lord, it was his faith that honored the Lord. When we honor Him with our faith, He will honor us with His presence and help. Because of his Character. God deals with men according to their hearts toward Him. We prove our faith by our devotion and obedience. That proof delights the Lord.